The video cast for this posting is coming soon and will be posted here. It’s time for another Informed Not Inflamed book review. Remember to always be reading a piece of good non-fiction. It does two things. First, it makes you more interesting at cocktail parties. Two, it shows you the idiocy of most cable news shows. 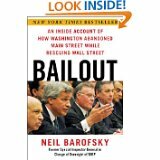 This book review is on Neil Barofsky’s Bailout. Barofsky was the SIG-TARP — Special Inspector General in charge of the TARP funds. He made sure taxpayers didn’t get screwed when the 700-billion dollars was disbursed. Read this book. This guy is a hero – in the Hemingway style. He stood up to power. He didn’t win but as Hemingway would say he fought hard — and with grace. He’s now a professor at NYU – not a well-paid executive on Wall Street who used his experience in government to enrich himself. Usually I say who should and shouldn’t read a book. On this one, everyone should read it. This book will divide Democrats and it will divide Republicans. The sides in this battle are Wall Street and Main Street. Who won that battle? Barofsky – and many of you – would say Wall Street has won. Take a look at an interview Barofsky did on CNBC’s morning show Squawk On The Street. Barofsky was eviscerated on the show by the likes of Santelli, Kernen, and Quick – three people I consider shills for Wall Street and should never take the term journalist. 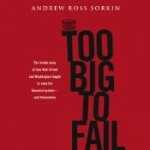 It was interesting that Andrew Ross Sorkin – the author of the book Too Big To Fail and a host on the show – was off that day. I don’t know if that was planned. If so, then can you say — media bias. I am shocked. Some key points about Bailout. Barofksy takes apart Republicans and Democrats. The Obama Administration is not happy with Barofsky at all. 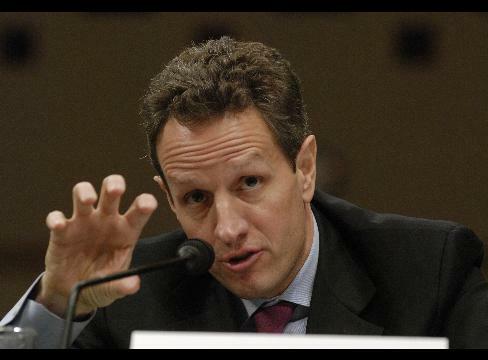 Needless to say, Treasury Secretary Geithner won’t be sending him a holiday card. Even though Barofsky has harsh words for Congress, he admired a number of Congressional members who were sincere in trying to stop the government fraud. Wall Street and Treasury may tell you that TARP was a profitable success for tax-payers. But Barofsky points out that deals made with the banks and the car companies does not take into account — the loss of tax dollars those companies were allowed to defer to the government. Clearly the crisis would have been diminished if the TARP money went to homeowners to keep their homes from going underwater. Instead that money went to the banks, their corporate executives, and their shareholders. 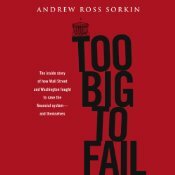 Even after writing the book, Barofsky in his after points to the JP Morgan billion dollar loss in risky bets – after its Chief Investment Office moved to London to avoid US regulators. Interesting that whiz kid of the banks – JP Morgan CEO Jamie Dimon – assured everyone nothing of the sort would happen. Barofsky points out that Dodd-Frank is inadequate to stop the next financial crisis. And, no surprise here, Wall Street was a major part of constructing that legislation. My take here: It’s like allowing Willie Sutton to sit in on the building and security meetings for your local retail bank. Two great stories in the book I won’t ruin for you. The first involves then Senator Joe Biden and Barofksy on a train together. 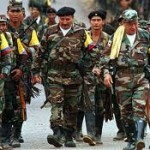 The second involves a woman by the name of Jane, an informant for FARC the Columbian narco-traffic cartel that Barofsky helped bring down as a prosecutor. Here are my conclusions after reading Bailout. 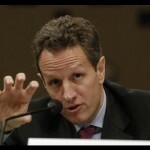 First, the banks need more regulation. Second, government needs to pay a lot and hire smart people who understand what is happening inside these banks and the complicated financial instruments being created. Third, don’t destroy the banks. 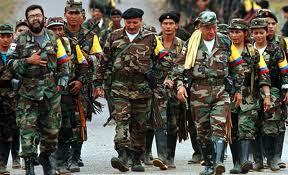 We need them to be part of the worldwide financial network. I like our regulations better than other countries’ regs. Banks still play a vital part. Plus, some of the financial instruments being created will help us in the future – especially as we need to help so many retirees who will be on fixed incomes and pensions. Fourth, the problem with Wall Street was the smart people took advantage of the people who couldn’t figure out what was going on. Even the CEO’s of Wall Street banks were clueless to these complicated financial mechanisms. We need someone to oversee how these financial instruments hurt all of us – because we’re too busy doing our own jobs, raising kids, caring for elderly parents, or enjoying a few moments to live and love. That’s my look at Bailout by Neil Barofsky. You can also catch him on Twitter. I will catch you next time on Informed Not Inflamed.